In addition to passing a hefty list of legislation this week, the Associated Students Senate delved into a heated debate on its role in resolutions that address widespread federal issues. Off-Campus Senator Bianca Fernandez and On-Campus Senator Unique Vance, with the help of student sponsor Austin Sonnier, proposed what many senators thought to be a controversial resolution to pledge A.S. Senate’s support to protesters at Standing Rock, the impending construction site of the Dakota Access Pipeline. Protesters argue that the 1,172 mile long pipeline, set to transport up to 570,000 barrels of crude oil per day between North Dakota and Illinois, will endanger the safety of groundwater for millions, including a large population of indigenous people, that live within the Missouri River Basin. Though all senators who voiced their opinions on the resolution remained in support of the protest on an individual level, many expressed concern that the resolution’s focus on a federal issue did not reflect the primary goal of A.S. as the body works to serve its immediate constituencies. 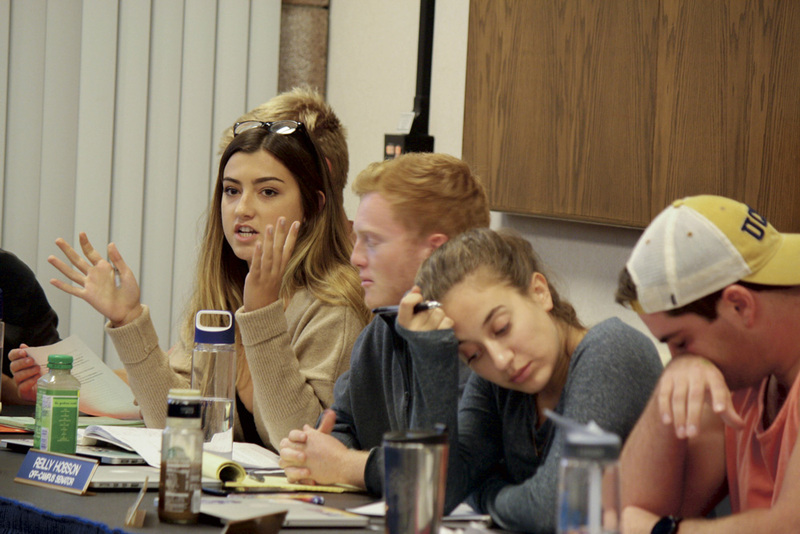 “I don’t think we should be passing resolutions on current events or issues that aren’t in our local environment,” said Off-Campus Senator Patrick Dohoney, echoing similar sentiments made by Off-Campus Senators Cole Marting and Ashley Selki. On-Campus Senator Lesly Silva disagreed. Before a final hand vote on the resolution, Fernandez warned fellow senators of the implications of the final decision. The resolution passed in a hand vote of 15-7-3, a slight edge over the required two-thirds majority. Senators also passed a resolution to create an open textbook group project estimated to take several years, a resolution to support UCSA’s ReIGNITE program to fight against the cyclical nature of the prison system, and a resolution in support of extending the A.S. Pardall Center lease for an additional year. The final resolution, proposed by College of Letters and Science Senator Tamar Barlev and Off-Campus Senator Elias Jordan, will change all pronouns in A.S. Legal Code to gender neutral.